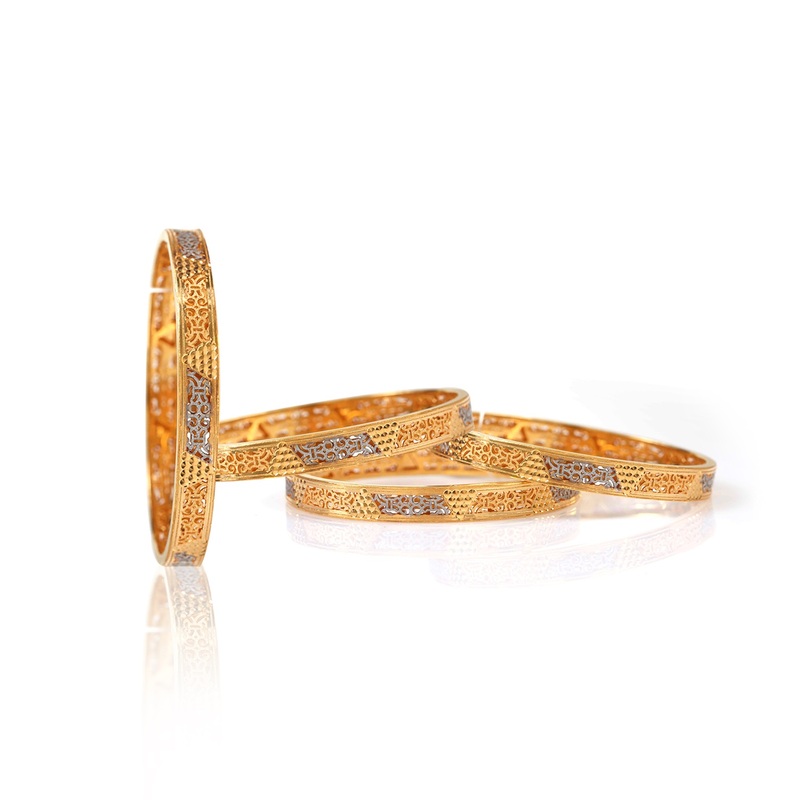 Carved with 22k gold, each piece in this collection is an exemplary design in light-weight category and this traditional style gold bangle is no different. Adorned profusely with Filigree work, this Filigree Fusion Gold Bangles redefines grandeur. But most of all, it is a beautiful amalgamation of an ancient art of jewellery making with a royal design pattern that can grace any ethnic attire. Check out. Perhaps, this is the piece you have been waiting to own!